Arden George DeVries, aged 92, passed away peacefully on November 13, 2009 at the Heartland Healthcare-Greenview Manor. Arden honorably served his country with the U.S. Marines during WWII and the Korean War. He was preceded in death by his wife, Adeline. He is survived by his son, Bruce (Nouhad); stepson, Edward Rumney; several grandchildren; his niece, Diane (Paul) Lynn, and a special friend Lonija Saunder. In keeping with his wishes, cremation has taken place and a Service Of Remembrance will be held 11:00 a.m. Wednesday at the Reyers North Valley Chapel, 2815 Fuller N.E. at Three Mile Rd. Inurnment in Chapel Hill Memorial Gardens. Relatives and friends may meet his family one hour prior to the service on Wednesday. For those who wish, memorials may be made to the Salvation Army. All rights reserved, Archived Memorials Online, 2003. Single scanned flowers: Copyright, 1998, Alma Lach, Inc. 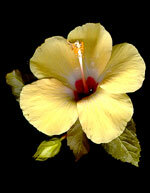 Virtual floral arrangements: Archived Memorials Online, All rights reserved, 2003.